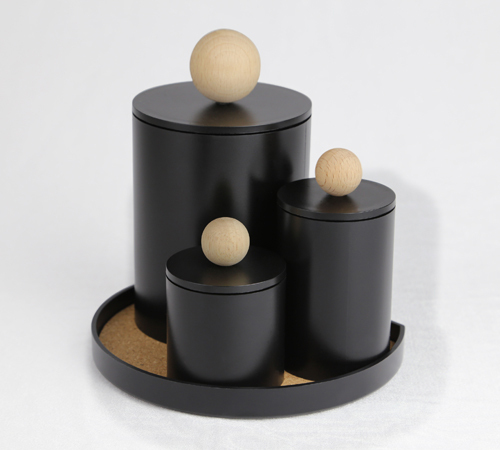 The tray provides a podium to allow 3 different sizes of canister linking up. 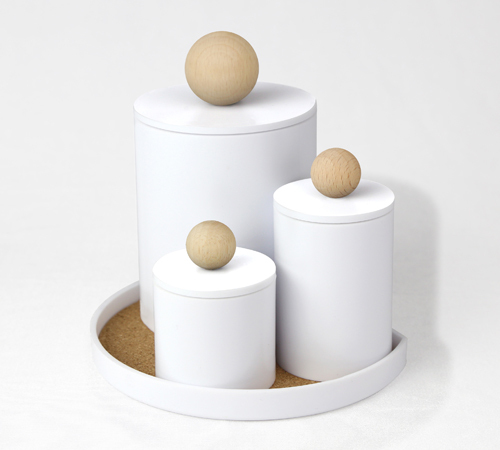 The Podium is in a considerate “D” shaped design which ensures no gap is wasted when the set is put on the table and against the wall. The different sizes of plastic canister provide a flexibility to use in anywhere such as bathroom, dining room or sitting room. 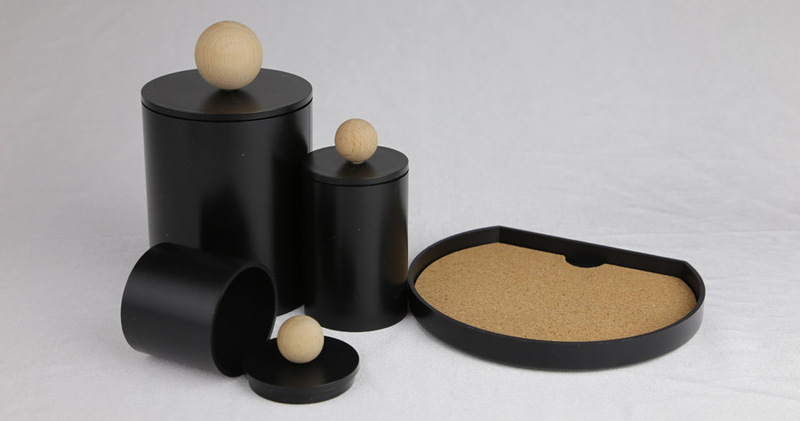 The fine ball shaped wooden handle plus black or white canister and podium is perfect matched which is able to release a stylish atmosphere to the workplace, hotel or spa room.